Hello, everyone ! 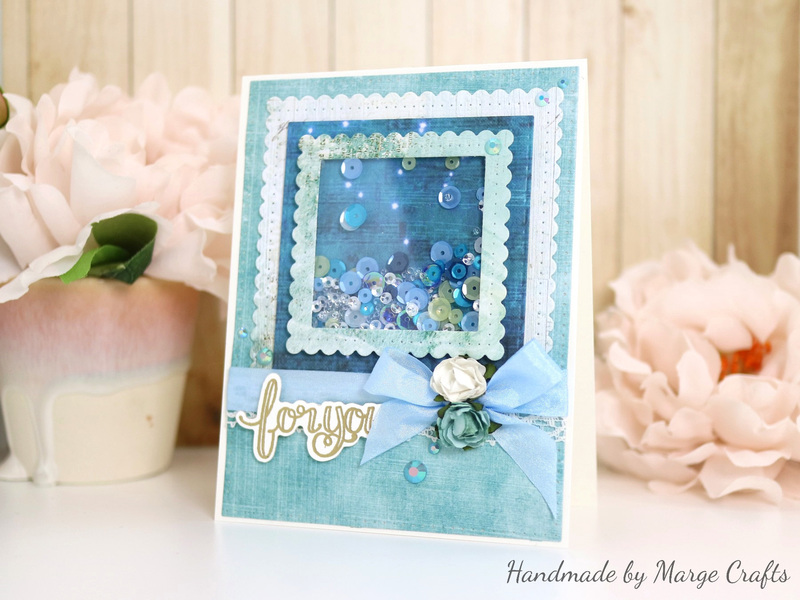 This is Marge and I’m so honored to be invited as a guest designer for Spellbinders Classics March Collection this week. 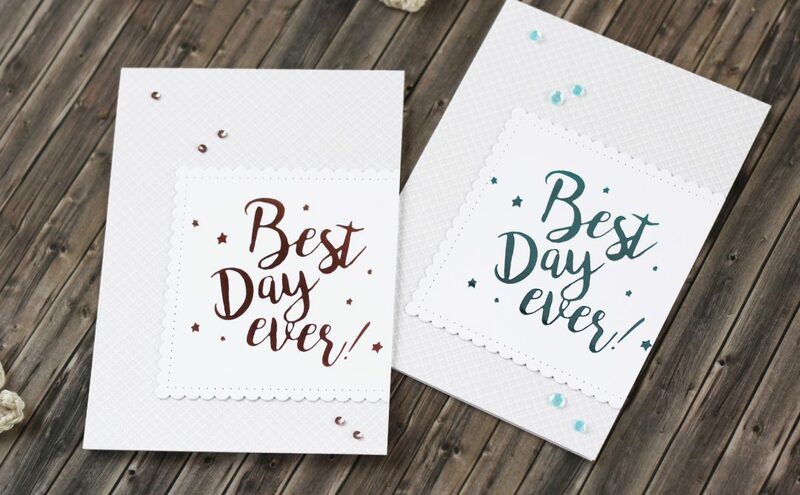 Introducing myself a little, I’m a passionate card maker, and I’m currently participating in the design team for Pretty Pink Posh. 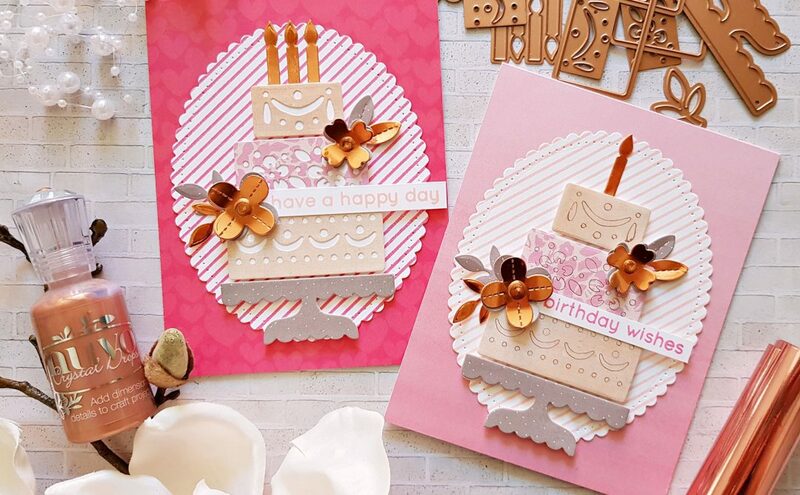 As you all have seen, the Spellbinders Classics March Collection is full of basic frame dies with various striped, dotted or scalloped borders, which would be perfect background frames for your projects. But that’s not all they do. 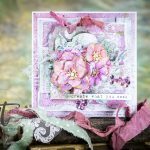 From now on, I’ll be sharing how to use creatively the classical frames throughout 3 days of posts here on Spellbinder’s blog. 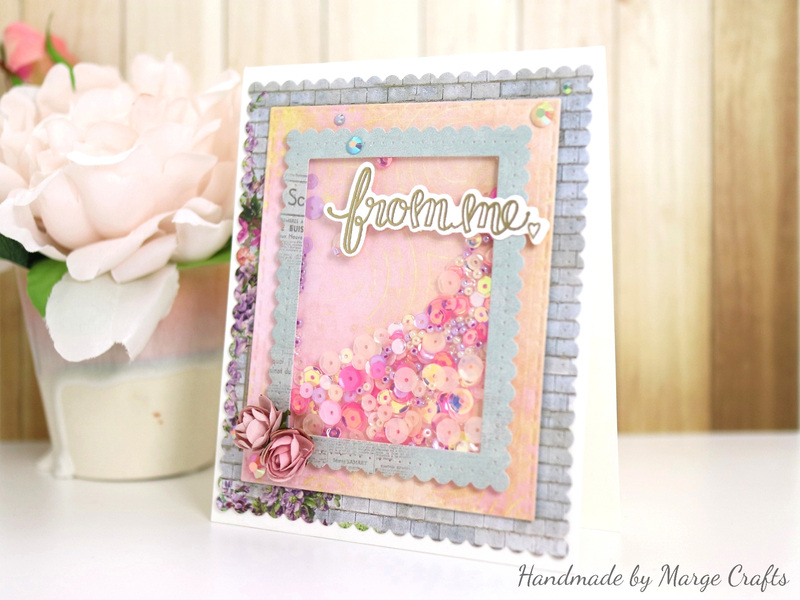 Today’s topic is making beautiful shaker cards with the nested frame dies. Basically, I used first (the largest) and second die cuts as background layer, then I cut the two consecutive smaller dies at the same time to make a frame for shaker window. 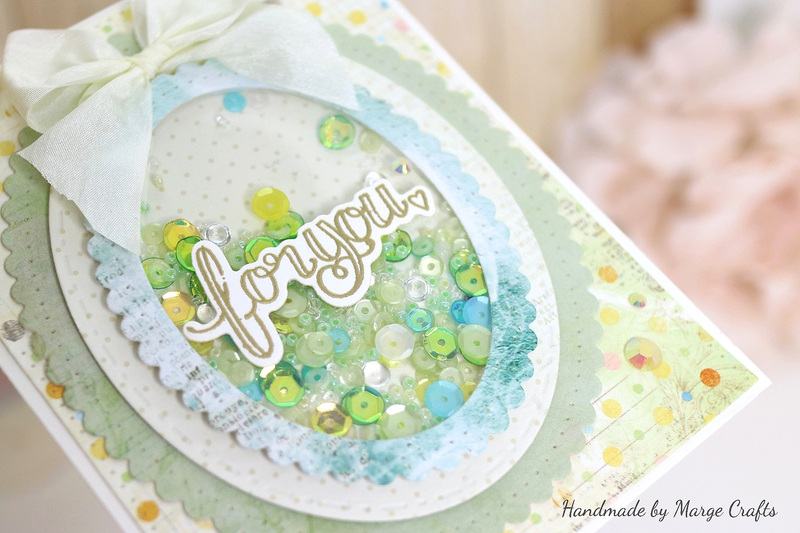 Here is the first card with oval framed shaker made using the Fancy Edged Ovals Dies. For the bottom rectangle panel, I also used a largest frame die from Scored and Pierced Rectangles Dies. 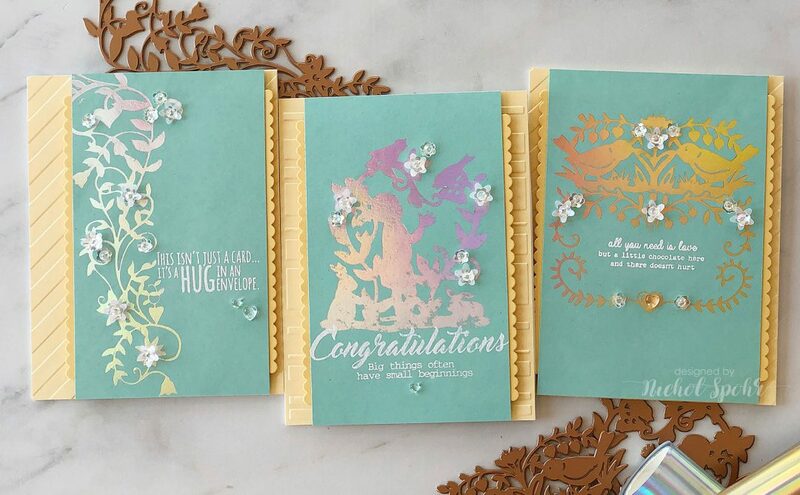 Sentiment ‘for you’ is from the Sentiment 2 Set from Tammy Tutterow, and was heat-embossed with gold embossing powder. 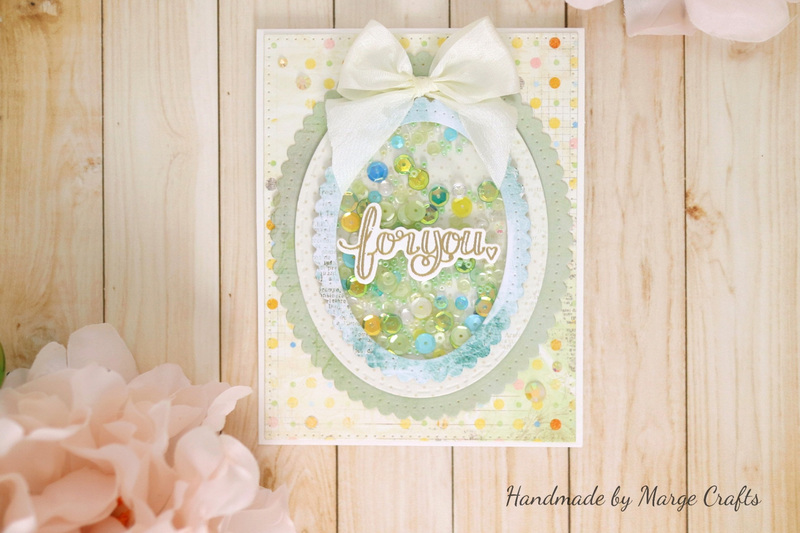 As a final embellishment, I adhered a white linen ribbon on the top of the oval frame, and put some Jewels on the card. For the shaker, I chose various colors of sequins and seed beads trying to balance the whole color scheme. Look at the beautiful sequins in the elegant framed shakers. I really loved how it turned out. For my second card, I made a square –shaped shaker using Fancy Edged Squares Dies set in a similar way I already described above. 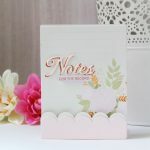 For my third card, I made a rectangle shaker using Fancy Edged Rectangles Dies set. That’s it for today. 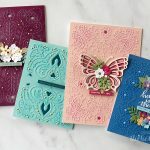 I have shown three different shapes and color schemes for making shaker cards from classical frame dies. I hope you enjoyed it. Which one is your favorite? Thanks so much for your stop by today. Hope to see you again, soon! I have this insane fear of shaker cards and although I have made them in the past I needed this push to do one again. Many thanks.